Variety of second generation autoflowering result of crosses of known plant of Canadian origin SWEET TOOTH with autoflowering. 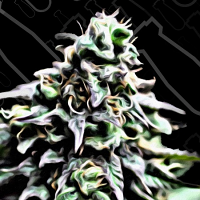 Ese T. Bilbo Auto Feminised Cannabis Seeds by Genehtik Seeds: Variety of second generation autoflowering result of crosses of known plant of Canadian origin SWEET TOOTH with autoflowering. The Ese T. Bilbo conserved genetic characteristics of the Canadian and the aroma and flavour, both sweet and rough, earthy touches. 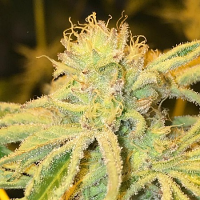 Thanks to its relative autoflowering got a fast flowering begins after only two weeks of growth and ends with 8 weeks of flowering. 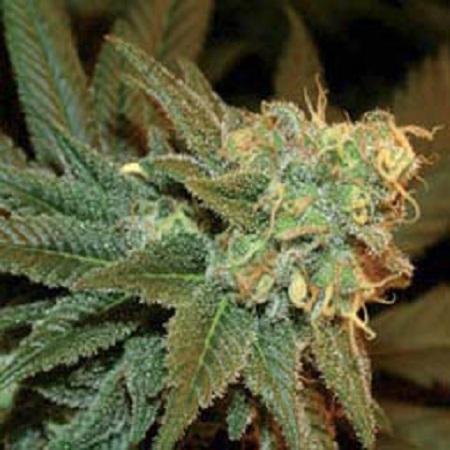 As can alcanazar autoflowering size 70 cm tall, branched with good resinous buds. Its effect is narcotic, soft and gets along very well, average power.